Undefeated Filipino boxer takes on the former WBA world super bantamweight champion Juan Carlos Payano of Dominican Republic on March 23, 2018 at Seminole Hard Rock Hotel and Casino, Hollywood, Florida USA. Magic Mike Plania currently has a record of 14 wins including 7 big victories by way of KO and has no defeats. Plania is a 21 years old boxer from General Santos City, Cotabato del Sur, Philippines. Trained by Sanman Promotions. Plania is coming off a 5th round stoppage win over Jetly Purisima in February of 2017. Meanwhile, 33 years old Juan Carlos Payano has a record of 19 wins including 9 victories by way of KO and has only 1 defeat. A former IBO and WBA super world bantamweight champion defeating Rau'shee Warren in 2015, but Warren cameback with his own in 2016 and defeated Payano via Majority decision. Payano is coming off a unanimous decision win against Alexis Santiago last August of 2017. 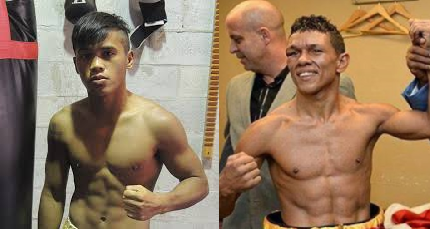 Payano vs. Plania is included in the undercard of Stephon Young vs Reymart Gaballo interim World Boxing Association World Bantamweight Title fight.